Most moments come and go, but some rise above the rest to become memories that stay with you for years to come. When you explore the Canadian Rocky Mountains by luxury rail, your journey will be full of moments like these—from the small touches of impeccable service provided by our Hosts to the awe-inspiring vistas that stretch out all around you. 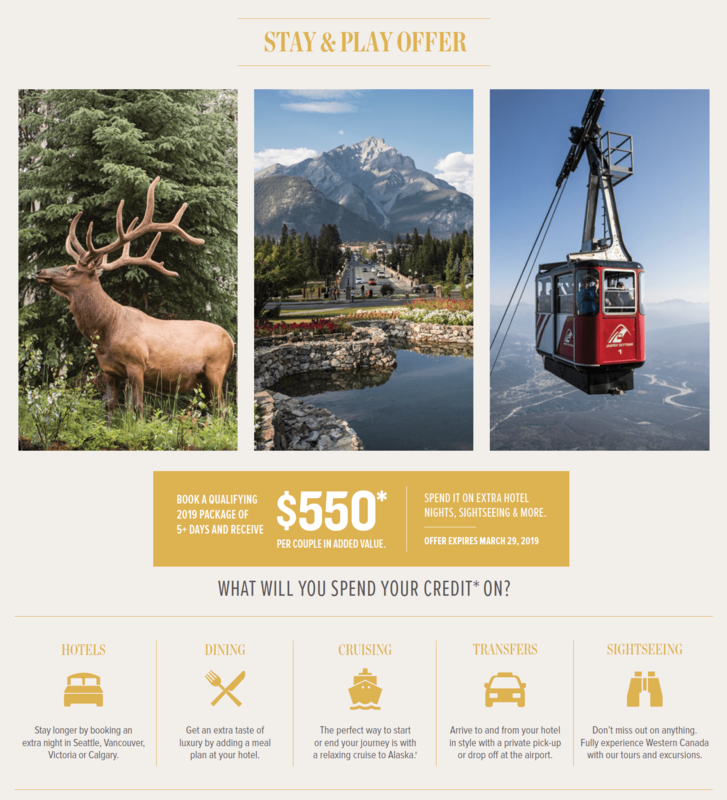 For a limited time, when you book a qualifying 2019 package, you’ll receive a credit of up to $550* per couple with our Stay and Play offer. Use it towards extra hotel nights, sightseeing & more. Book your package today.